Mix together peanuts, salt and soda. In a large saucepan, add 1 cup brown sugar, 1 cup granulated sugar, 2/3 cup of water and 2 tablespoons white corn syrup. Cook without stirring until mixture reaches 290 degrees on a candy thermometer, or hard ball stage. 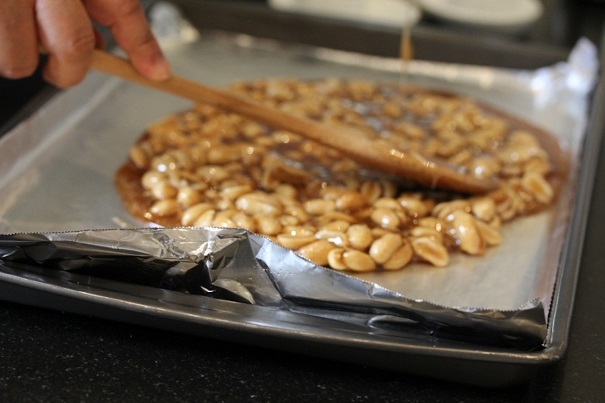 Remove from heat, add peanuts and butter, stirring just enough to combine. Pour into baking sheet lined with parchment paper and sprayed with baking spray. 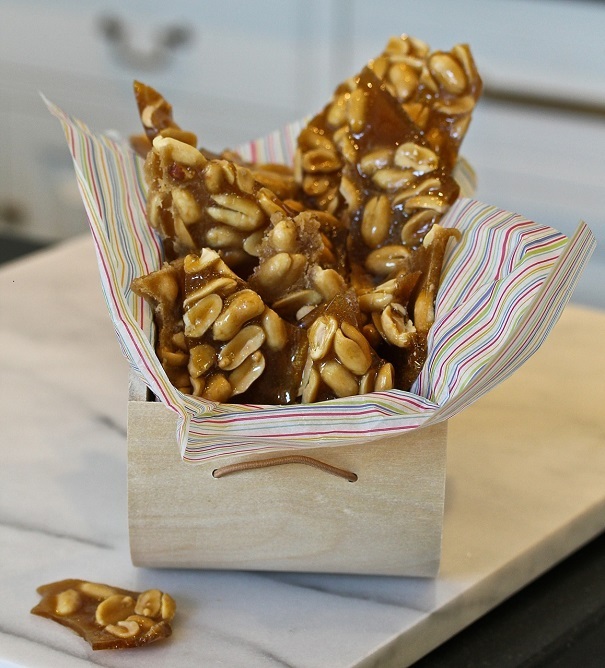 Allow to harden (if your brittle doesn’t harden within an hour, stick it in the refrigerator for an hour). Break into pieces and serve.